This is an expert workshop that is intended to discuss approaches for linking museum information on the World Wide Web. 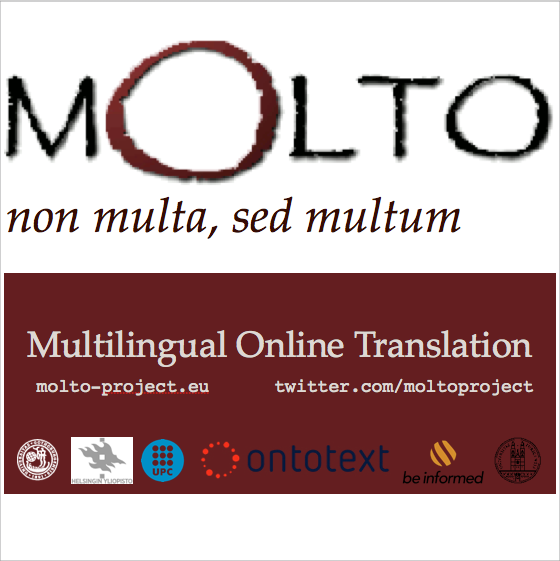 The workshop is organized jointly by MOLTO and Stockholm National Museum. If you wish to be among the speakers of the workshop, please send your title and abstract to the workshop chair, Dana Dannélls, not later than the 20th of April. The workshop will take place in Stockholm at the National Museum, Södra Blasieholmshamnen. From the museum's website, directions. The workshop is sponsored by MOLTO and by the Stockholm National Museum. There is no registration fee however we kindly ask you to register for our own records and for helping the local organizers. An e-mail address is required for users who are not registered at this site. If you are a registered user at this site, please login to sign up for this Page.